The Waterfront around Lockside is one of the most vibrant areas within Bristol and one of the city's most popular tourist attractions. 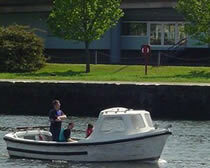 There is plenty to see and do such as ferry or boat trips. 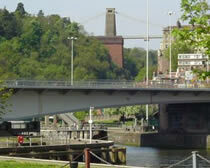 Visit attractions such as the SS Great Britain, the Matthew or the museums in the area. The SS Great Britain is a unique survival from Victorian times: the world's first iron hulled, screw propellor-driven, steam-powered passenger liner, and the only surviving 19th century example of the type. The Matthew is John Cabot's historic vessel which set sail from Bristol 500 years ago for Asia to develop trade with those countries. We also have the Maritime and Bristol Industrial Museums and many other attractions located on the waterfront for you to enjoy. The Create Centre is located behind us and provides innovative ideas on recycling and ecological solutions. Enjoy our hospitality for anything from a drink and a snack to a private function. We cater for functions any size, any night of the week and each celebration is designed to suit your individual requirements.